Journalist Edward Posnett, in an article that appears this weekend in the Financial Times magazine, describes the origins and operations of Sardex, a mutual credit clearing exchange that I visited last month and reported on here. Posnett’s article, The Sardex factor, is fairly well written and begins with the subtitle: When the financial crisis hit Sardinia, a group of local friends decided that the best way to help the island was to set up a currency from scratch. You can read the full article here. While I consider Sardex to be among “the best of the breed” and a trade exchange model worth replicating, it is by no means unique. Posnett’s article is well worth reading but I fault it on two counts, first for ignoring the scores of similar commercial trade exchanges that have been operating successfully around the world for the past several decades, and secondly for failing to emphasize the crucial importance of the value proposition that mutual credit clearing provides—the provision of liquidity to a local or domestic economy, independent of the banking system and without the disruptive and destabilizing imposition of interest. There are several well run commercial trade exchanges but as I said in my interview at Sardex, most trade exchange operators are too complacent and satisfied with their modest levels of business success. The ‘special sauce” that seems to make Sardex stand out is the underlying values and social mission of the founders. Their primary purpose in launching their credit clearing exchange was to help improve the local economy of their home island. I hope that will continue to inspire their operations and development in the years to come. They have tried to assist entrepreneurs in six or seven other regions of Italy to replicate their design and operations, but told me that the results have been disappointing. I’m speculating that it may be for lack of that “special sauce.” If that’s the case, then successful replication will require that they work selectively with social entrepreneurs who share the same values and mission of serving the common good. That seems to be quite a rare breed right now, so these people will need to be nurtured through a process of selection and education–perhaps somewhat akin to what the Jesuits have historically done. The need is for people who have the right values, strong motivation, and technical competencies to create the new socio-economic paradigm. The interview that I gave at the Sardex offices during my visit focuses on The Changing Picture in Complementary Currencies and can be viewed in the post below or on YouTube at https://youtu.be/epOebHTQpDI. The pictures that I took are in my online photo gallery at, https://picasaweb.google.com/112258124863172998784/201508SardiniaItaly?authuser=0&authkey=Gv1sRgCILAwtjOyOetvAE&feat=directlink. As cashless exchange becomes an ever more significant portion of total transactions in the economy, the regulatory issue will become a greater concern. It is important that trade exchanges NOT be perceived as issuers of credit, so as to avoid running afoul of banking regulations and possible tax liabilities. Everything that trade exchanges do needs to support the position that the role they play is that of “third-party record-keepers” and that it is the members themselves who provide credit to one another. It can be argued that the credit clearing process is simply one of generalizing (collectivizing) the longstanding practice of businesses transacting trades with one another on “open-account,” i.e., selling to one another on credit and allowing some period of time in which to pay. It has properly been a cornerstone of the trade exchange business that there is no interest charged on negative account balances and no interest paid on positive balances. 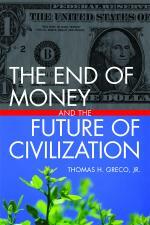 Therefore it cannot be argued that trade exchanges are acting as banks or lenders of money.